At Clavell Bate Dental Practice we offer a wide range of options to help you budget for your dental treatment. 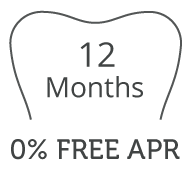 We offer a 12 month interest free payment plan along with longer term fixed rate finance options. Your treatment coordinator will be able to guide you through the plans and the simple application process to ensure you find the best payment option for your needs. 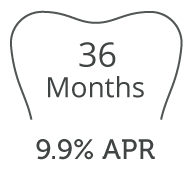 Widen your smile further by spreading the cost with our unique finance options, making your perfect smile affordable. * Credit only available to over 18s and Subject to Status . Representative example (based on 12 months Interest Free Credit). Cost of treatment: £2,000.00 . Total amount of credit: £2,000.00, payable by 11 fixed monthly instalments of £166.67 followed by one payment of £166.63. Total amount payable: £2,000.00. 0% APR Representative. Interested in our Finance options?